Bala Lake Railway Hunslet 0-4-0ST 779 Holy War waits at Bala station on 31 May 2012. 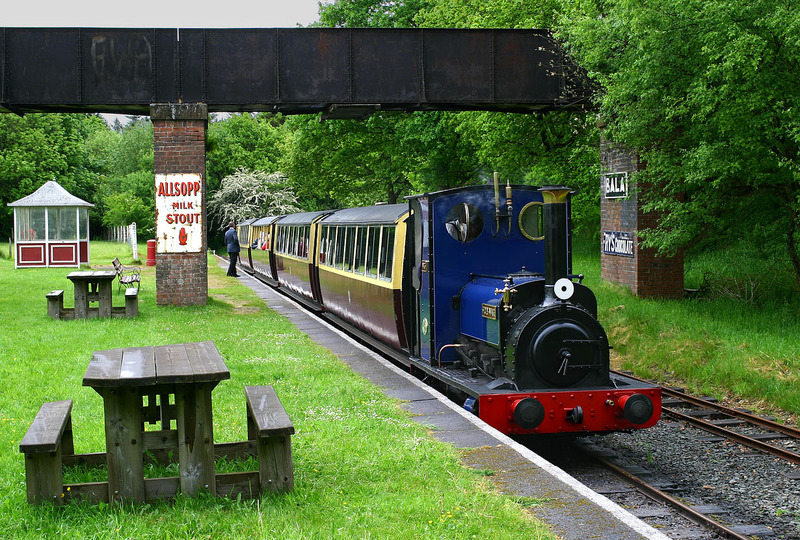 It will shortly be working the 15:00 service to Llanuwchllyn. The original Great Western Railway footbridge looks slightly out of place, now the track has downsized somewhat! The original station opened in 1934 as Bala (Llyn Tegid).